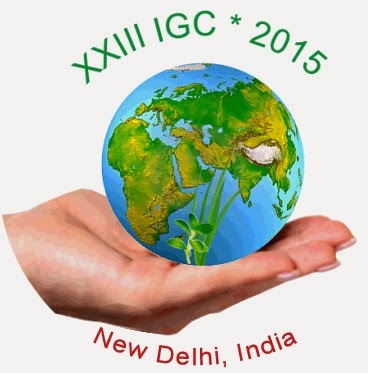 KW Conferences is proud to announce that we have been appointed as the official Professional Conference Organizer for the 23rd International Grassland Congress (IGC 2015), which will be held in New Delhi from November 20 – 24, 2015. The International Grassland Congress held their first meeting in Germany during May 20 – 31, 1927. The main aim of the Congress is to promote interchange of information on all aspects of natural and cultivated grasslands and forage crops - sustained development, food production and the maintenance of biodiversity. The International Grassland Congress is normally organized every four years for presentation and discussion of papers and reports. The other important activities include technical tours to further the aims of the Congress. The main theme of IGC 2015 will be “Sustainable use of grassland resources for forage production, biodiversity and environmental protection”. The Congress will be jointly hosted by Range Management Society of India (RMSI) and Indian Grassland and Fodder Research Institute (IGFRI). The 23rd International Grassland Congress will be the premier forum for presentation of technological advances and research results on all types of grasslands.